Microsoft Office 365 is constantly changing. The frequency and cumulation of updates and product launches over the last year have been overwhelming. From PowerBI to PowerApps, Teams to Project Online and other added features like the Threat Intelligence and Advanced Data Governance shows Microsoft’s intention to make cloud technology available to businesses worldwide. You can follow their latest updates and insights here. While this is reassuring for the early adopters of the platform, it’s also raising a lot of practical questions on how, when, and who should use the different tools available under the Office 365 licenses. At NIFTIT, we’re always working on Office 365 platform and its related apps. As experts in the field, we’d like to share some valuable insights to the community. 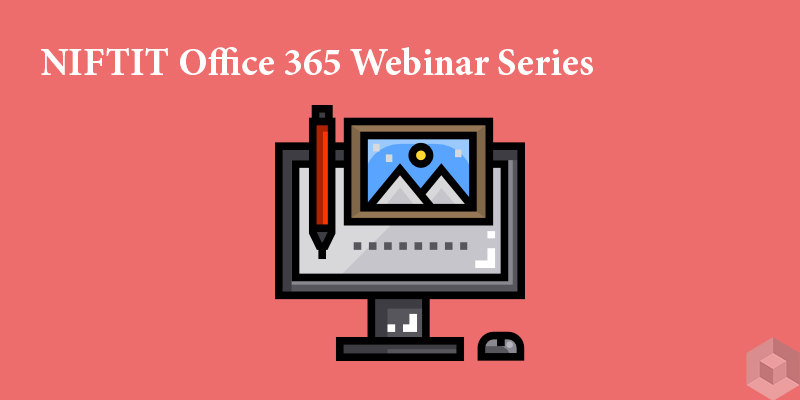 That is why I’m doing bi-weekly webinar series for those who are interested in learning more about O365 latest features and applications. I’ll include live demos during the Office 365 webinar so that audience can see in real-time how some of the technologies can be applied to SMBs. Learn how to manage project tasks and collaborate on documents by implementing business processes on a SharePoint site. This webinar will help you save time and effort, bring consistency and improve efficiency when performing daily tasks. Ready or not, Office 365 is changing the way you work. By design, Microsoft Teams is poised to change the way every individual in your organization works together – from Millennials to Baby Boomers. Are you ready? By the end of this webinar, you will understand the impact Microsoft Teams can have on your organization and ensure your multi-generational teams are collaborating and communicating effectively. Given the somewhat litigious nature of today’s business world, there is no surprise in the number of compliance features Microsoft builds into products like Office 365. Microsoft’s tag line for data governance is that “you keep what you need and get rid of what you don’t”. Learn exactly how to do that in this webinar. This FREE SharePoint webinar is an excellent opportunity for those who are new to the platform and want to apply SharePoint to their business. The webinar includes tutorials reviewing SharePoint basics in non-technical terms – perfect for beginners and business users. We’ll provide a step-by-step guide so that you can configure your SharePoint site by yourself! Learn how to increase users’ adoption and collaboration by leveraging SharePoint styling & branding. The session will review the new design manager, code snippets and the display templates for content search web parts as well as fundamentals such as master pages, page layouts, publishing content types and best practices in the industry for SharePoint front-end solutions. Monitor your business and get important insights quickly with Power BI tools. In this session, we will explore Power BI on both the desktop and online environment. From querying data sets to transforming and creating awesome reports, we’ll walk you through all the key features that will help you analyze and visualize your data. next: 5 Amazing Office 365 Features You Can't Ignore!